Our APPP sites are online versions of the traditional paper-based policies and procedures manual. domiciliary and residential adult care providers. for adult social care and provider customers specific chapters and sections can be linked directly to electronic recording systems. We offer a number of different APPP models, dependent on your local needs. The Bespoke and Format and Review APPP sites are very flexible and can grow and adapt to include local or national practice guidance; bringing policy and practice together into one single point of contact for staff. 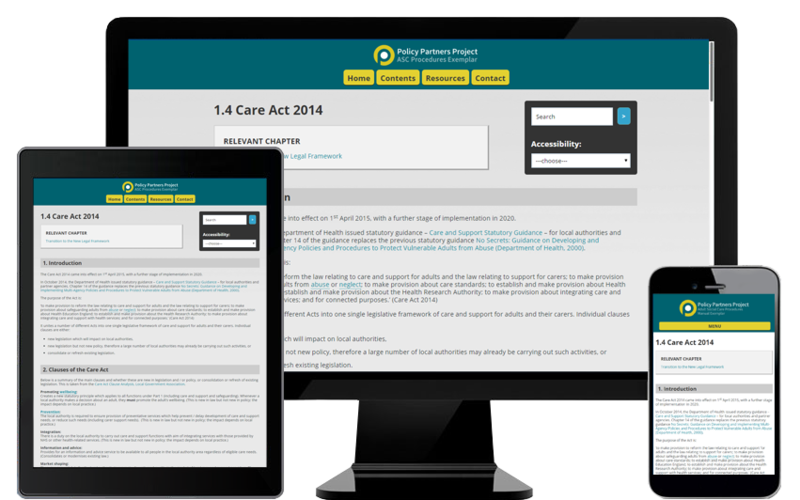 These APPP sites are the go-to resource for the adult care sector to support safe and consistent practice. See also Customer Benefits for more information about advantages of the APPP site. Click on the links below to view customer and demo APPP sites. click here to view a demonstration site, with contents for both domiciliary and residential care services. 1. Project planning Capture local drivers, targets and workstreams; agree content and structure of chapters; agree timeframes. 2. Development of content PPP provides all content for customer to review, sign off and return; PPP reviews received content for consistency and formats to customer’s individual APPP site. 3. Go live PPP delivers live online APPP site. 4. Launch The launch is part of the vital drive to publicise it to staff, and the beginning of linking the APPP site to daily practice. Launch can be to individual staff in computer suites or offices and / or as part of formal presentation to managers and senior staff. PPP tailors the launch to local needs. 6. Ongoing APPP site revision Following the first operational version, there is one further revision in year one and twice in each following year. This is the opportunity for both parties to revise content, structure and functions from a local and national perspective. If you have any queries about the APPP site, please Contact Us.